At the Todd Perry Tennis Academy, you will benefit from experience gained at the highest levels of tennis competition. The Todd Perry Tennis Academy caters for tennis players of all abilities – it doesn’t matter whether you have never held a racquet before or you are a seasoned competition player – there is a coaching option suitable for you. The Todd Perry Tennis Academy has coaches that have completed the Tennis Australia Hot Shots coaching course, so they are well-equipped to start teaching budding new tennis players the basics of the game. Alternatively, all of the coaches have played tennis at very high levels in South Australia, so if you are an established player looking to reach your highest potential, whether that be social, competition or tournament tennis then a squad or private coaching may be a suitable option. Level 2 Tennis Australia accredited coach. Personally coached by Tony Roche, Todd Woodbridge and Mark Woodforde. Organised and co-ordinated coaching clinics in San Francisco as well as metropolitan and rural Australia. 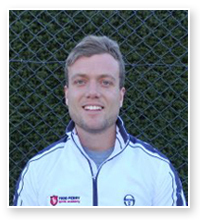 Todd currently coaches at St Peter’s College, and runs the Development Squad on Tuesday and Wednesday nights at Rostrevor Tennis Club. He is also available for private coaching however places are limited so please contact for availability. 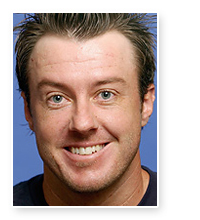 Todd currently takes group and private coaching lessons at St Peter’s College and Rostrevor Tennis Club. 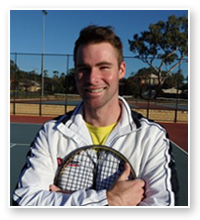 Shane has 6 years coaching experience, has completed the Tennis Australia Hot Shots coaching course and currently runs the coaching programs at Loreto College and Christian Brother’s College. 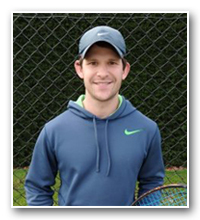 Shane also takes group and private coaching lessons at Rostrevor Tennis Club. 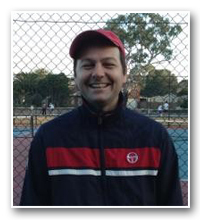 Simon has completed the Tennis Australia Hot Shots coaching course and currently takes group and private coaching lessons at St Peter’s College. 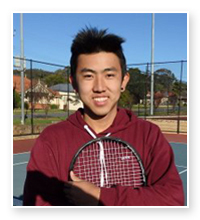 James has completed the Tennis Australia Hot Shots coaching course and currently takes both group and private coaching lessons at St Peter’s College and Rostrevor Tennis Club. Josh takes group and private coaching at St Peter’s College. Contact us today so you can tap into the insights and tips that only top players with coaching experience can offer.